According to a Travel Wedding Show survey on how to generate business for weddings, 43 per cent of the business gets generated through social media; so the more one is on social media, he will get enquiries for international weddings, 25 per cent is by search engines. 13 per cent by referrals and rest is by other sources. 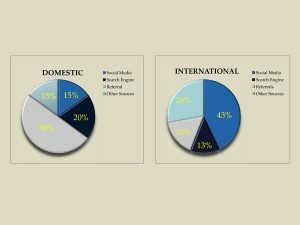 In India, 50 per cent of the business gets generated through referrals; 20 per cent from social media; 15 per cent through search engine and 15 per cent from other sources. “Destination wedding for the next five years will be the biggest thing. Weddings are big business, and everyone wants a piece of the pie. If as wedding planners we have to survive, we need to go out, to different cities and destinations and procure more business. Indian and international destination weddings will remain, the next business thing,” says Rajeev Jain, Founder and Director, Rashi Entertainment. 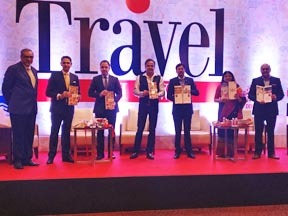 Pegged at $40 to $50 billion, the Indian wedding industry is the second largest market in the world after the USA, revealed Rajeev Jain, Founder and Director, Rashi Entertainment at the 5th Travel Wedding Show, held recently at Jaipur Marriott Hotel. 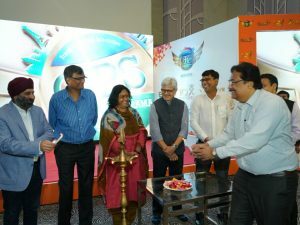 The event witnessed over 2000 B2B meetings between exhibitors and buyers spread across two days. Speaking on trends in the wedding industry, Jain said, “The global wedding industry is pegged at $300 billion. As far as international destination weddings are concerned, the most wanted destination initially was Thailand but now people are venturing to Turkey, UAE, Cyprus, Mauritius, Macau, Malta, Sri Lanka, Bali, London, among other new destinations.” A panel discussion was held on ‘Destination Weddings: An overview, India v/s International.’ Moderated by Jain, the session’s panelists included H Deniz Ersoz, Culture & Tourism Counsellor, Turkish Embassy, New Delhi; Hemant Mediratta, Senior Vice President – Sales, Oberoi Hotels & Resorts; Saurabh Bhargava, AVP Sales, Indian Hotels Company; Shampa Dhali, Area Director, National Sales – India, Marriott International and Abinash Manghani, Area Manager and Head Travel, ITC Hotels. A knowledge book titled ‘An Insight on Weddings in India & abroad’ was also released on the occasion. 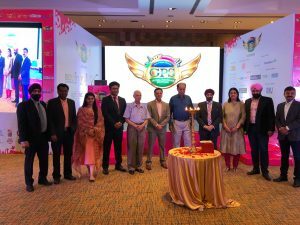 Jaipur is set to host to the fifth edition of Travel Wedding Show, a B2B meetings platform for buyers and suppliers in the wedding segment and tourism stakeholders, from July 7-8, 2018, at Jaipur Marriott Hotel. Following a table-top format, the show provides a suitable opportunity to exhibitors to showcase their products and services, demonstrate expertise and increase awareness, generating sales from a qualified audience with maximum exposure. The agenda is to bring new business opportunities to its exhibitors. Sarika Bambhani Rawal, Vice President, DDP Exhibitions said, “A wedding in one’s life is a special moment that remains etched in memory for a lifetime! Today, weddings mean big business. With more and more people on the look-out for offbeat experiential weddings for themselves, destination weddings is the most preferred and flourishing trend these days.” The idea of the show is to amalgamate the two vibrant sectors – weddings and travel. The show brings a selected group of people together and facilitates business for the growth of both the industries. The 32nd International Travel Expo (ITE) held recently at Hong Kong Convention & Exhibition Centre witnessed around 670 exhibitors of which 85 percent from abroad and about 180 exhibitors targeting MiCE; some 55 participating countries and regions with around half from outside Asia. 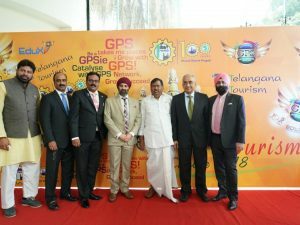 The city’s only travel fair lays focus on segments like leisure, MiCE and theme travels, and visitors of trade, professional and affluent FIT. The two day expo had over 12000 trade and MiCE visitors, of which, over 70 percent from Hong Kong and some 30 percent from mainland China and abroad. Some 90000 visitors with 87 percent preferring FIT and private tours had visited the fair. Organised by TKS Exhibition Services, ITE Hong Kong, is supported by Ministry of Culture and Tourism of the People’s Republic of China, Hong Kong Tourism Board, Macao Government Tourism Office, Travel Industry Council of Hong Kong, MiCE and trade associations, etc. 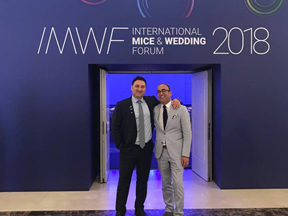 Around 300 attendees from over 55 countries are attending the International MICE & Wedding Forum taking place in Antalya, Turkey from May 28-June 1. India is represented by a strong contingent of 120 participants. The third edition of the event is taking place at the Titanic Deluxe Golf Belek, Antalya, Turkey. Speaking at the event, Necip Fuat Ersoy, MD, IMWF said, “Our journey for this event has been hard, consistent and totally exhilarating. We pursued our dreams and each step we took propelled us to where we are today. I am so happy we dared to make this journey come true. Along the way, we met some incredible people and they all helped us. Friends, friends of our friends. I thank them all and without you this could not have happened.” IMWF brings together professionals, opinion leaders with strategic innovative ideas and partnerships in the industry. While the participants have the chance to communicate one-to-one with the world’s best MiCE and wedding planners, they establish long-term friendships and communication networks with industry trend makers from different countries.